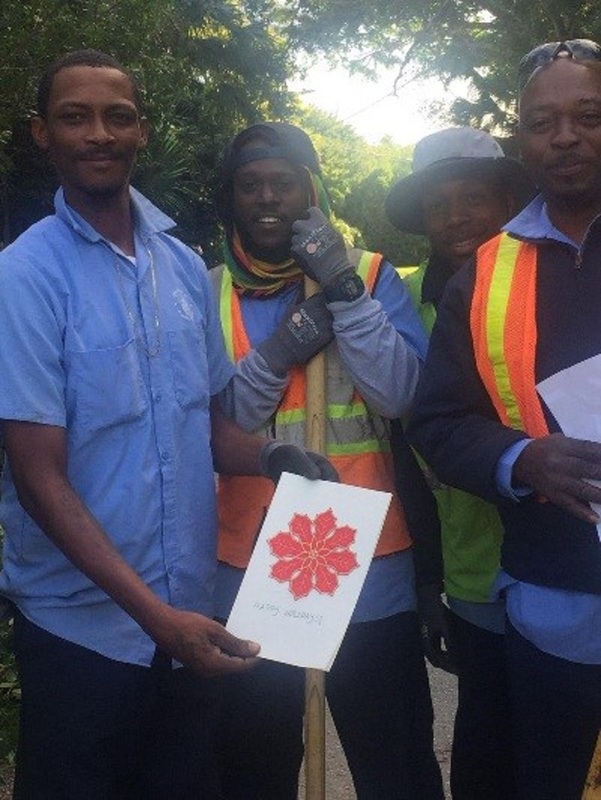 Yesterday morning as the staff and students of the Chatmore British International School arrived at their entrance they observed a team of Works & Engineering employees clearing the overgrowth along St. Marks Road, and after noting how hard everyone seemed to be working, the students made them a card to show their appreciation for the work they do. A spokesperson for the school said, “As we drove into school, so many of us saw them working hard and as a coordinated team. It was noteworthy! Every cone was evenly lined along the road, it was crystal clear for traffic on the winding road that caution was required and everyone, even the supervisor was involved in the effort. No one was standing around. “It was the perfect picture of industriousness, organization and collaboration – which are only a few of the real-life skills that we encourage our students to embrace”. The students and teachers then decided it would be a great idea to do something and demonstrate their appreciation, so, like Christmas Elves, the Middle Years class pulled together and quickly made a card and an envelope to take out to the W&E team. 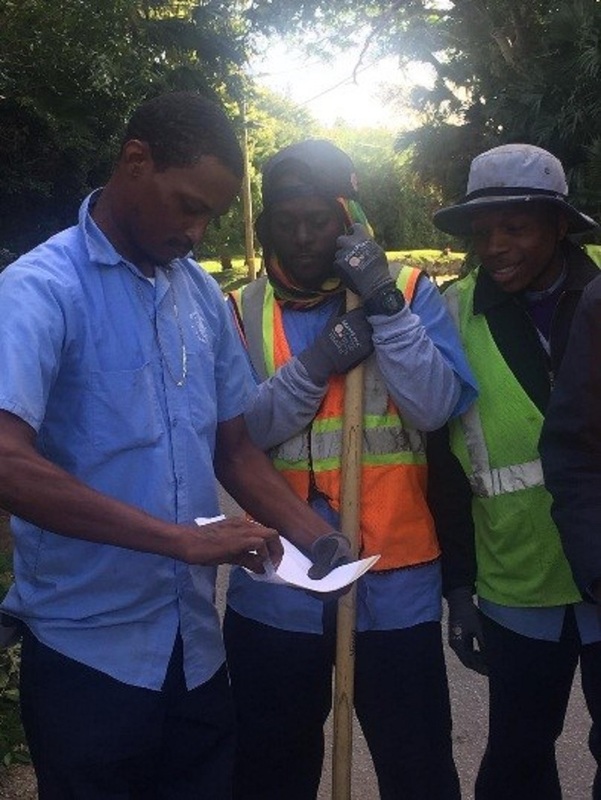 Tyshon, jumped up at the opportunity and said, “I really hope that they know how much we appreciate the hard work that they do”. Azari, who led the idea for the class of 11-13-year olds to make a card, was delighted that the crew were happy to get the card. 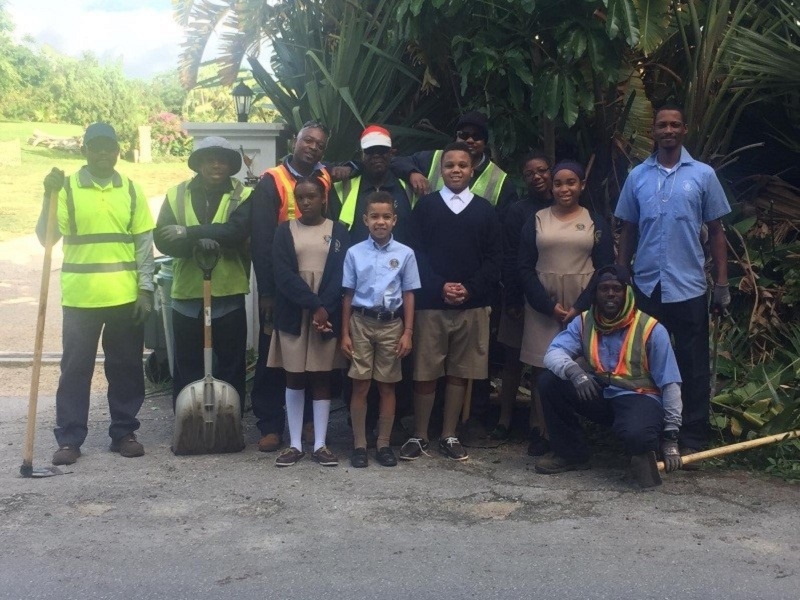 “We made sure to thank them for looking out for the safety of people in Bermuda by keeping the roads clean and we definitely made sure to wish them a very Happy Christmas. Together, we all felt that we had done something special”. Located on St Marks Road in Smiths, the Chatmore British International School is a deliberately small, inclusive co-educational school where community involvement is celebrated. This is great! I saw the gentlemen working and had the same thoughts. Its so much easier to navigate the roads because of W & E teams. I am so appreciative of the work they do and the difference that they make. Well done Chatmore for sharing your appreciation.